Mixed or average reviews - based on 58 Critics What's this? With so much history behind the Wolfenstein series, it can be quite difficult to live up to the legacy of the games that came before you. The latest entry in the series does a fantastic job of this, from its gorgeous graphics to its solid story line; everything is well thought out and well executed. With the potential for additional multiplayer maps thrown in, this is a great value overall. Again, it's nothing new but the weapons and powers are interesting enough that, if you put in the work, the reward is there. But it probably won't make you forget about Modern Warfare or Halo 3 or Killzone 2 or whatever online FPS you're currently hooked on. High def graphics aside this could almost be five or even ten years old in terms of game design but it matters not a jot because its also genuinely fun to play. Speaking of strategy, Wolfenstein is in dire need of a new one. Grinding through waves of predictable enemies in corridors is no way to pay homage to the franchise’s unquestioned legacy in the genre. Wolfenstein has two sides. Sometimes, there are an awful lot of Nazi’s and there’s bullets flying right past you all the time, immersing you in the game. Other times, you just wish you could blast a bullet through main character B.J. Blazkowicz’s own head after walking through another boring alley in Isenstadt. Nevertheless, the biggest part of Wolfenstein was played with a big grin on our face. It’s a decent addition to a classic franchise. The story isn't really presented well at times, but thanks to numerous Wolfenstein staple elements, the game works. First of all this is a decent game but I feel like the FPS has evolved. Gone are the days of simple shooting mechanics in a decent enoughFirst of all this is a decent game but I feel like the FPS has evolved. Gone are the days of simple shooting mechanics in a decent enough story. Crysis, Bioshock, Snydicate, Deus Ex, The Darkness, and Halo have all shown that you need more than guns, grenades, and something to shoot to stand out. Even the Call of Duty and Battlefields of the world offer more variety and a large and deep multiplayer campaign. Wolfenstein feels ancient, almost like it belongs on the original XBOX. As for this version of Wolfenstein as a game? This game is a big big big FAILURE---A major DISAPPOINTMENT...in other words---it a piece of TRASH !!! The AI SUX BALLS, the enemy justThis game is a big big big FAILURE---A major DISAPPOINTMENT...in other words---it a piece of TRASH !!! Mediocre reviews for a high-profile videogame? 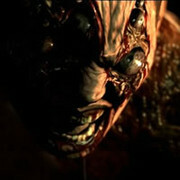 It does happen from time to time, as the new release "Resident Evil 6" demonstrates. Inside, we look at 40 games from the past decade that earned disappointing reviews despite major anticipation.